This entry was posted in SkyDrive and tagged documents, move folder, SkyDrive, upload folder, Windows Live by Ludwig. Bookmark the permalink. Extremely helpful. Explained very clearly. This helped me a lot since I was planning to upload about 5.5GB of files, and the file-types are diverse i.e. avi, html, swf, camrec, etc. I would have been terribly disappointed to have gone through the whole process only to find that half my files did not upload. Thank you very much, you’re a star! I’ve added you as a bookmark, I’ll be back. 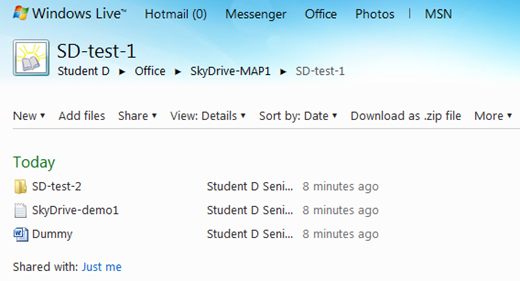 This post has been made quite obsolete with the latest changes to SkyDrive. 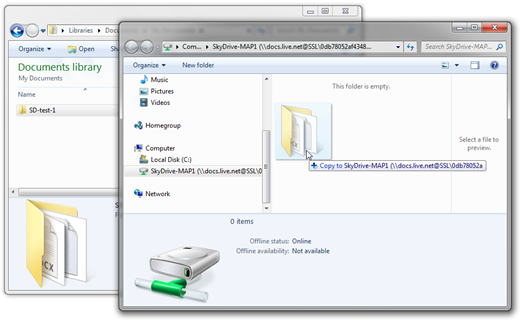 With the SkyDrive app on your desktop you can upload any type of file (I don’t know of any limits now). Take a look at my more recent posts. I will also put an update notice on this post.